Google’s Android Lollipop release is without a shadow of a doubt the company’s most polished version of Android to date. Having spent years being arguably the most customizable mobile operating system on the planet, Android has finally come of age and received the spit and polish that many have suggested was beyond Google’s engineers. In fact, parts of the new Material Design are so good that even those carrying iPhones and iPads are jealous. That’s exactly why the new jailbreak tweak CheeseCake was created, with its developer apparently falling in love with the new version of Android’s smooth screen locking animation as soon as he saw it. That led to the tweak being created, meaning anyone with an iOS device that is jailbroken and runs anything up to and including iOS 8 can now get something at least a part of Android Lollipop without having to make the switch over to Android. The CheeseCake tweak itself is free to download and install, and while the change in animation is not the most substantial we have ever seen, the difference is indeed there, with the screen locking animation being more deliberate and less instant with the tweak installed than without it. It’s far from a huge change and makes no real difference to how anyone will use their devices, but if you like to customize anything and everything then this might be right up your street. And it’s free, after all. Once installed, CheeseCake is turned on and has no options to speak of. Nice and simple, just the way we like it. 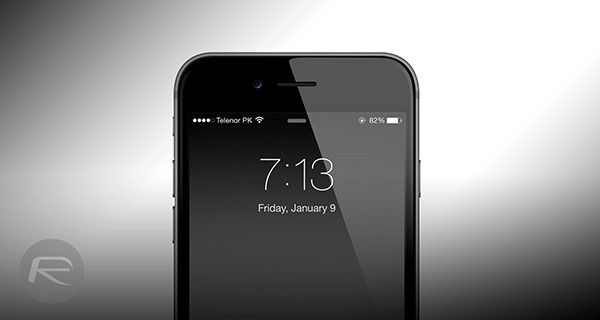 In order to download and install this tweak, you must have a jailbroken iPhone at hand. And if you do, simply launch Cydia and download CheeseCake from the BigBoss repo. It’s absolutely free.